in fact it has long been the belle of financial instruments traded with leverage. 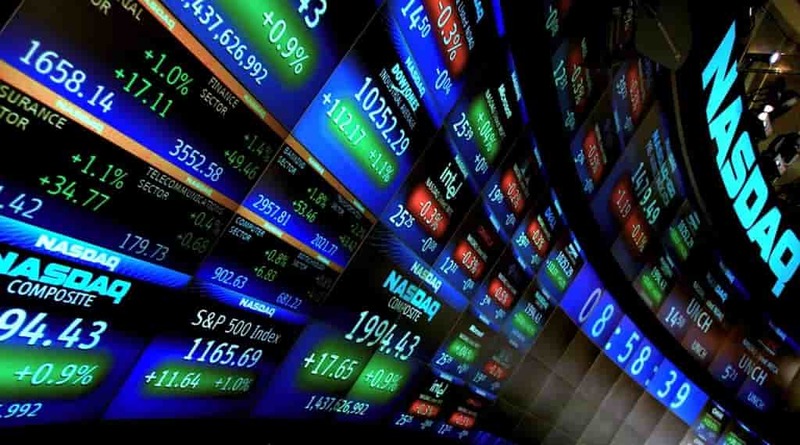 In CFD trading, with only a small capital, you can already access world stocks to get profit potential in a short time. Upscale assets such as the S & P500 (US), DAX30 (Germany), or FTSE100 (UK) indexes to global blue chip individual stocks such as FAANG (Facebook, Amazon, Apple and Google) can be traded easily through CFDs. 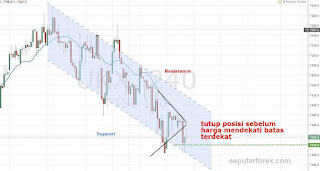 Unfortunately, in Indonesia CFD echoes are still not as popular as Forex. Though the potential for profit is equally large because both are offered with margin and leverage. Well, this is the reason why this article will review some short-term CFD trading strategies so that traders are interested in trying on a demo account first. Short-term CFD trading strategies emphasize fast and practical trading styles such as intra-day trading and scalping. Therefore, the position usually only lasts less than 1 x 24 hours or until the related exchange closes. That way, you can gain profits without having to wait long. 1. Use a simple but multifunctional tool, avoid the hassle. That is, just use the default tool from your trading platform to help technical analysis of CFD trading strategies. No need to search for complicated tools with external plugins. Generally, the more complex an indicator, the lower the level of flexibility. Simple tools are better than complicated tools, because they can be used by anyone and can be adapted to all kinds of market conditions. In the picture above, a triangle (triangle) pattern is clearly visible with the help of two trendline diagonal lines. That way, we know that the UK FTSE index (H4 timeframe) is consolidating in the 7370 level range and is likely to experience a breakout. The question is, in what direction will the breakout occur? Will it creep up to break (uptrend) or fall down (downtrend)? In order for the trading signal to be clearer, most traders will use additional indicators to confirm the position opening level accurately. The additional indicators should also be used as simply as possible, because the more stacks of indicators will complicate the decision making process. An additional indicator for example is Moving Average Convergence / Divergence (MACD). We can use the MACD indicator to get a trading signal by waiting until the crossing of the MACD line with the signal line. The intersection of the MACD (blue) line downward penetrates the signal line (brown) indicating that a downtrend is in progress. Therefore, a short (sell) position will have a higher chance for profit. 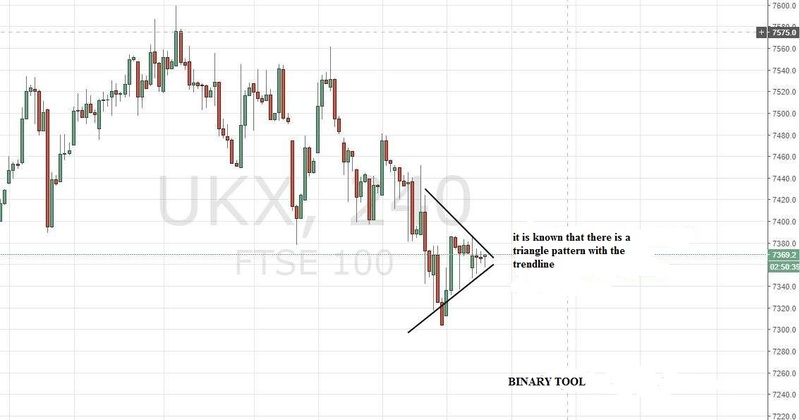 From these trading signals, we can take the short (sell) position of the FTSE1000 in the range of the 7370 level. After starting to open a position based on the trading signal, the next question appears; when to close the position? The trading signal only tells the entry point for the OP. As for closing positions, we must use other instructions, for example with the help of support and resistance. Both of these lines will inform the limits of price movements, where if the price has begun to touch the limit, then most likely the price will move reversal. The picture above shows the two trendline lines that form a channel (channel). The upper limit of the trendline channel shows resistance, while the lower limit indicates support. 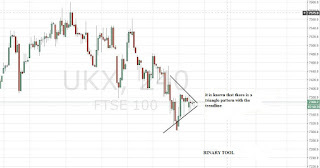 From the MACD trading signal, it is evident that the FTSE index has a downward breakout. That way we must get ready to close the position before the price moves closer to the lower limit (support). For example, we can close the position when the bar touches the 7320 level. There is no CFD trading strategy that will guarantee a 100% win. Therefore, protect your position from bigger losses with Stop Loss and the key to profit before the price reverses with Take Profit. Basic rules, first determine the risk vs. ratio. reward that you are ready to bear. For example, if you use a risk reward ratio of 2: 1, then the Take Profit position has a distance two times farther than Stop Loss. With the example of the FTSE CFD trading strategy, place the TP before the price approaches the support limit (around the 7320 level). That way, your short position will be closed automatically by Take Profit before the price reverses. From the example above, we have succeeded in closing the position with a gain of 500 pips (from FTSE levels 7370.0 to 7320.0). Like Forex trading, you will also need detailed and complete CFD trading references to find out the ins and outs, such as; types of assets, CFD trading strategies, trading terms and conditions and their advantages and disadvantages compared to other types of instruments.